Red Faction: Guerrilla just isn’t a game that has many merits in 2018. Ours is an industry that grows at an unbelievably rapid rate. Our tastes are always changing, growing with the times, and in almost every aspect, with iteration upon iteration, innovation upon innovation, with each passing year, we grow used to a certain standard that just couldn’t be hit a few years prior. And while some games are timeless enough in their execution of ideas and their design philosophies that they can withstand the passage of time no matter how many years go by, others simply aren’t. 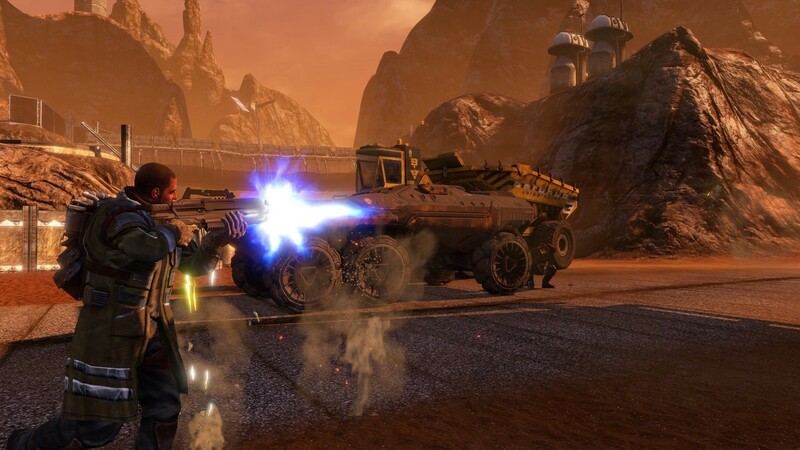 Red Faction: Guerrilla, a game that, in 2009, was a very good one by all means, is an example of the latter, because in 2018, it just doesn’t match up to what we’ve all come to expect from our games. 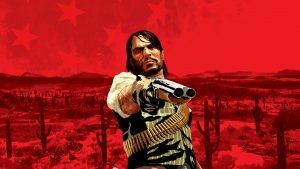 More specifically, the genre of open world games has seen immense improvements over the last few years, with titles such as Skyrim, The Witcher 3, Metal Gear Solid V, and The Legend of Zelda: Breath of the Wild having all come along and changed the way we look at such games, and the approach that Red Faction: Guerrilla takes to its own open world is decidedly outdated and stale in today’s day and age. Mars was a fun sandbox when it featured in Guerrilla when it first launched almost a decade ago, but now it feels inorganic and artificial. 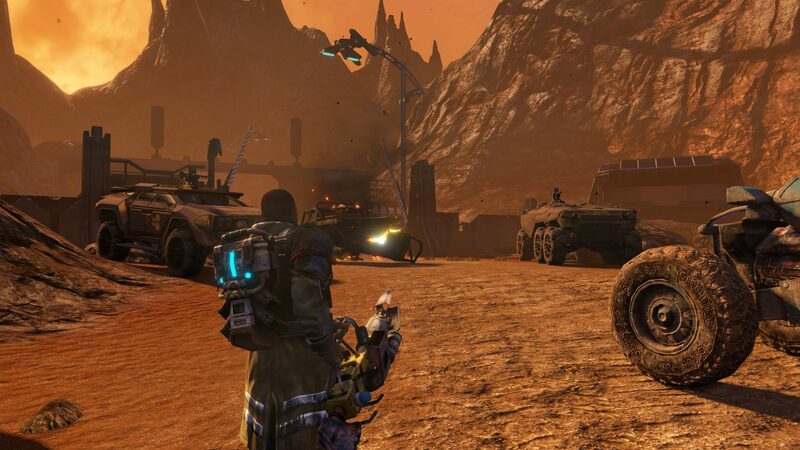 "Red Faction: Guerrilla, a game that, in 2009, was a very good one by all means, is an example of the latter, because in 2018, it just doesn’t match up to what we’ve all come to expect from our games." In an age of living, breathing worlds that seem to exist regardless of the player’s involvement, Guerrilla’s environments feel static and uneventful. NPCs mill about lifelessly, there is a distinct lack of dynamism, while even visually, it all feels too same-y. That is, of course, a product of the time Red Faction: Guerrilla first launched in. The Xbox 360/PS3 generation was one where almost all developers lived by the “Everything Must Be Brown And Gritty™” code. 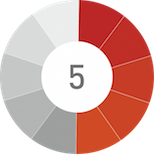 As such, games were dominated by hues of browns, greys, and other dull colours, and Guerrilla’s visual palette falls very much into that category. Sure, logically speaking, being set on Mars, the game pretty much had to go for an overwhelmingly red and dreary visual style, but the clear lack of variety in art design across the map can make things a little dull from even the most superficial perspective. Thankfully, the one thing that made Red Faction: Guerrilla and its open world as enjoyable as it was back when it first launched has managed to age pretty well. Because really, no matter how many years go by, blowing things up and watching gloriously destructible environments crumble beneath the weight of your blows can never get boring. Destructibility was the chief gameplay mechanic in Guerrilla, the central pillar that the entire structure was built around, and it’s as enjoyable in the remaster as it was in the original. Almost every single structure you see in the game, no matter how big or small, can be completely destroyed, and watching individual pieces of buildings being blown to smithereens while dust clouds envelop the scene of destruction is always a joy. The world of Red Faction: Guerrilla, thankfully enough, knows that that is the game’s biggest strength. Just rampaging through the map, haphazardly destroying everything you see can be a lot of fun. What’s even better is that the destruction never feels aimless either, because for everything you blow to hell, you get scrap, which is what you use to upgrade all your equipment. It’s a nice loop that manages to leverage the game’s biggest strength very well. 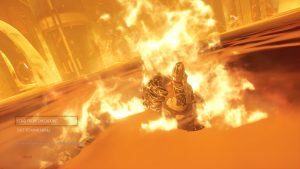 "Almost every single structure you see in the game, no matter how big or small, can be completely destroyed, and watching individual pieces of buildings being blown to smithereens while dust clouds envelop the scene of destruction is always a joy." The missions, too, usually centre on the destructibility aspect, but they’re not as fun as manufacturing your own moments of mayhem. Mission structure in Red Faction: Guerrilla checks the most cursory boxes, but unfortunately, that is all it does. It doesn’t help that the setup for each of these missions is bland and devoid of any semblance of personality. The way they’re presented is just so barebones, it’s hard to be invested in any of them, beyond that fact that they’re an excuse to play around with the game’s destruction mechanics. To be fair, though, a few side activities in the game are genuinely enjoyable. For instance, a particular variety of side missions that give you certain tools and tell you to use them to bring down a structure in a given amount of time serve as unique, destructibility puzzle boxes, and I found myself seeking these out on the map quite a lot. Red Faction: Guerrilla is also structured in a way that incentivizes players to complete any and all activities in the game (doing almost all kinds of missions contributes to progression of the critical path), so doing these side missions never felt like a waste of time either. 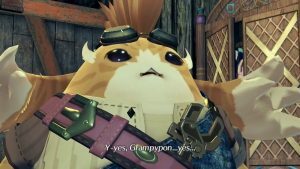 But then again, a well structured flow of missions and activities in an open world can only go so far when the majority of the missions themselves (barring a few) aren’t all that interesting to begin with. What also doesn’t help the missions and the scripted moments in Red Faction: Guerrilla is the fact that other than destructibility, almost everything else in the game is- well, to put it bluntly, not good. For starters, shooting and cover mechanics are an absolute mess. Rather than holding down one trigger to aim and another to fire, the game relies on hip firing- which would have been okay, if the aiming and shooting in general didn’t feel so finicky and floaty. If you do want to aim down the sights, you click the right stick, while if you’re in cover and want to put out to shoot, you have to push the left stick in that direction. "Mission structure in Red Faction: Guerrilla checks the most cursory boxes, but unfortunately, that is all it does." Controls are unnecessarily confusing, and the fact that they don’t always respond the way they should doesn’t really help matters. What makes things worse is the fact that the AI in the game was created for the sole purpose of torturing every moment of your existence, so while you’re negotiating the frustrating cover and shooting mechanics, the enemies you encounter are flanking you from all directions in ludicrously large numbers and gunning you down with marksman-like accuracy. For a game that is, after all is said and done, a third person shooter, the fact that the shooting is this bad is simply inexcusable. The narrative that Red Faction: Guerrilla wraps all of this in is also, unfortunately, undeserving of any praise. Almost every aspect of the game’s story and storytelling is worthy of at least some criticism. The setup feels abrupt and refuses to give players any reason to become invested in the story, the characters might as well all be wax models for all the personality and depth they exhibit, while the writing is functional at best, and borders on painfully bad at worst. I get that the story isn’t really the point here – the game just wants you blow things up, after all – but in that case, why even try? I’d have been perfectly happy with a minimalist setup and narrative, but the fact that Red Faction: Guerrilla intermittently tries to have hints of an actual plot and spectacularly fails every time just makes it all the more disappointing. 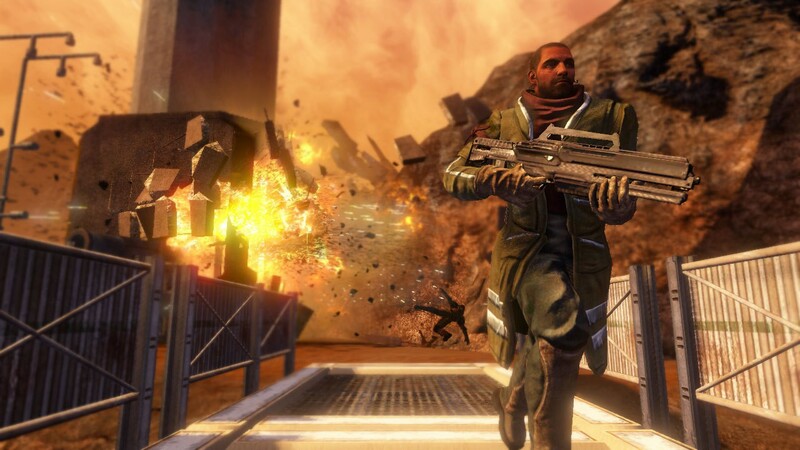 While Red Faction: Guerrilla fails to stand toe to toe with contemporary sensibilities and standards thanks to the passage of almost a decade, it could still have been a decent remaster, if nothing else. Sadly, even that is not the case. There’s some stuff to like here, for sure- the updated visuals look sharper and crisper than they ever have before (even if the Blanket Brown™ art style mutes that sharpness a great deal), while some of the updated lighting must also be praised. Beyond that, though, it’s all just a major mess. "While Red Faction: Guerrilla fails to stand toe to toe with contemporary sensibilities and standards thanks to the passage of almost a decade, it could still have been a decent remaster, if nothing else. Sadly, even that is not the case." From frequent frame-rate drops to a bevy of technical glitches – such as characters getting stuck in the environment’s geometry, or enemies floating above the ground – Red Faction: Guerrilla Re-Mars-Tered Edition has a number of issues that are going to need to be patched out in the coming weeks. The game also suffers from long loading times, which is, honestly, a little baffling for a nearly ten year old game running on current hardware, while it also crashed on me entirely a few times during my playthrough, forcing me to restart the game. Red Faction: Guerrilla was a lot of fun back in 2009- I remember that much distinctly. It wasn’t a game that stood out as one of the best of its generation, but it was definitely one that was a great deal of fun back when it first launched. The fact that it falls short of current standards so badly just goes to show how much video games have grown and improved in just nine years. That’s not to say that Guerrilla is absolutely unplayable, because its core fundamental mechanics of destruction are still an absolute blast. Sadly, though, all the layers surrounding that core mechanic simply aren’t up to the mark anymore, while poor remastering work also fails to make the game more palatable to current audiences. Completely destructible structures and environments; Rampaging about the map and destroying everything you see is a lot of fun; Destroying stuff feeds back into the progression loop; A few side missions are genuinely enjoyable. Lifeless and boring open world design; Unimaginative mission design; Frustrating shooting and cover mechanics; Bland art style that lacks any variety; Completely uninteresting plot with poor writing and characters; Loads of technical issues that simply cannot be ignored. 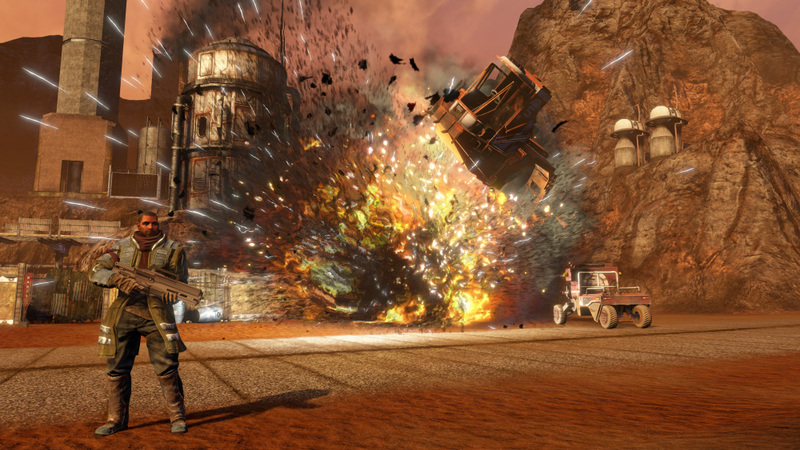 Red Faction: Guerrilla's central mechanics of destruction are a blast, but in the nine years since the game's original launch, we've played a lot of much better games. What was perfectly acceptable by our standards back in 2009 just doesn't cut it anymore, and as a result, Guerrilla is plagued by a number of major issues. Unfortunately, thanks to a bevy of technical issues, it doesn't even succeed as a remaster.